The writer of this Psalm is encouraging us to join with the whole earth in shouting praise to God! The bible calls this worship. It’s God who made us, it’s God who made everything, so let’s take every opportunity we can to join with all the creatures of our God and King praising Him! And just incase you were wondering, Christ Church Walkley won for the second year in a row, we’ll try not to boast about it. What’s this mornings ear worm? Do you ever wake up with a tune already in your head? Perhaps it’s a phrase of a song that’s slipped into your dreams? The BBC 6Music breakfast show has a regular feature about exactly this, you send in your morning’s ‘ear worm’ - the tune that’s wriggling around your ear drums - and they play out the best/worst suggestions on air. Day and night, never ceasing, that’s one long ear worm! I'm bursting out with songs of praise! When you wake up in the morning, what’s the first thing you think about? Checking your email or Facebook before you make it out of bed? Praying, listening to music or a podcast while you have breakfast? Reading the news, the bible, or the Christ Church Walkley blog on your way to work? There are so many different sources of information and entertainment now that sometimes the choice is overwhelming, and it gets more difficult if you are, like Paul suggests, trying to discern which things are true and pure to feed your mind with. Christian music is something that Nicola (my wife) has always found encouraging as long as I’ve known her and a good way to set her mind on the things above for the day ahead. It’s taken me a bit longer to recognise the value of Christian music but recently I’ve been hugely encouraged by it, and from chatting to some of you at church, I know it’s the same for a lot of others as well. 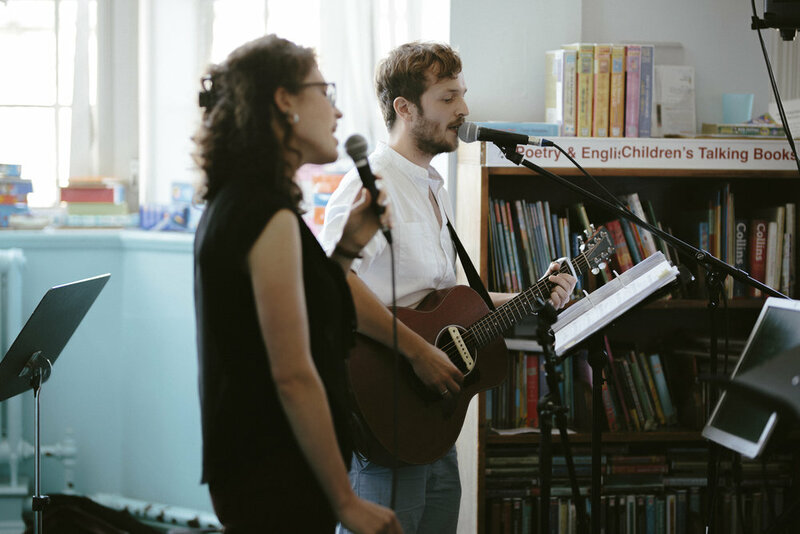 So as a music team, we want to share some of the Christian music we’ve been encouraged by on the Christ Church Walkley blog, including some of the brilliant recommendations you’ve given us! To start with, CityAlight are an Australian band who write simple songs with faithful and encouraging Christian lyrics. We’ll be starting to sing some of their songs together as a church over the next few months. The first song we’ll learn is Saved My Soul. Isn’t that an amazing line to sing, knowing God has given you life and you can’t keep it hidden as sooner or later that praise will ‘burst’ right out to God! How great to be able to sing that with other brothers and sisters who want to praise God too! We’ll put a bit more on here in future blogposts about why we sing, and more recommendations for your listening. Hopefully you’ll be encouraged like we have been and Christian music will help you, as Paul suggests, to think about ‘whatever’ is excellent or praiseworthy.